Looking for a performance car? Look no further than the Mercedes-Benz AMG® performance lineup. Every AMG® model is created with a handcrafted AMG® engine that will give your East Greenwich commute new life. And each engine is crafted with the “One Man – One Engine” philosophy in mind, which means that a single engineer is responsible for the entire process. C-Class, S-Class, GLE, GLC, GLA models, and more are available in AMG® renditions, so visit us today to find your ideal Mercedes-Benz model! Comes equipped with: Black, Black, Leather Seat Trim. This Mercedes-Benz GLE also includes Air Conditioning, Clock, Climate Control, Tachometer, Dual Zone Climate Control, Cruise Control, Homelink System, Privacy Glass/Tinted Windows, Power Steering, Telescoping Steering Wheel, Steering Radio Controls, Sunroof, Power Mirrors, Moonroof, Lthr. Steering Wheel, Driver Airbag, Passenger Airbag, Intermittent Wipers, Side Airbags, Rear Defogger, Security System, AM/FM, Anti-Theft, Surround Sound, Navigation System, Rear Spoiler, Sport Seats, Rear Wipers, Center Arm Rest, Remote Trunk Lid, Vanity Mirrors, Heated Mirrors, Rear Fog Lamps, Child Proof Door Locks, Daytime Running Lights, Reverse Camera, Side Curtain Airbags, Roll Stability Control, Power Lift Gate, Tire Pressure Monitor, Carpeted Floor Mats, Front Heated Seats, Voice Control. This Mercedes-Benz GLC also includes Air Conditioning, Clock, Climate Control, Tachometer, Dual Zone Climate Control, Cruise Control, Homelink System, Privacy Glass/Tinted Windows, Power Steering, Telescoping Steering Wheel, Steering Radio Controls, Sunroof, Power Mirrors, Moonroof, Lthr. Steering Wheel, Driver Airbag, Passenger Airbag, Intermittent Wipers, Side Airbags, Rear Defogger, Security System, AM/FM, Anti-Theft, CD Player, Surround Sound, Bluetooth®, Sport Seats, Rear Wipers, Center Arm Rest, Remote Trunk Lid, Vanity Mirrors, Heated Mirrors, Rear Fog Lamps, Child Proof Door Locks, Daytime Running Lights, Reverse Camera, Side Curtain Airbags, Roll Stability Control, Power Lift Gate, Tire Pressure Monitor, Carpeted Floor Mats, Overhead Console, Aux. Audio Input, Front Heated Seats. Comes equipped with: Designo Diamond White Metallic, Porcelain/Black, Nappa Leather Seat Trim. Comes equipped with: Black, Black with Red Topstitching, Amg Nappa Leather Upholstery. This Mercedes-Benz E-Class also includes Air Conditioning, Clock, Climate Control, Tachometer, Dual Zone Climate Control, Cruise Control, Homelink System, Power Steering, Telescoping Steering Wheel, Steering Radio Controls, Sunroof, Power Mirrors, Moonroof, Lthr. Steering Wheel, Driver Airbag, Passenger Airbag, Intermittent Wipers, Side Airbags, Rear Defogger, Security System, Anti-Theft, MP3, Surround Sound, Air Conditioned Seats, Bluetooth®, Center Arm Rest, Remote Fuel Door, Remote Trunk Lid, Vanity Mirrors, Heated Mirrors, Rear Fog Lamps, Child Proof Door Locks, Daytime Running Lights, Front AC Seats, Reverse Camera, Side Curtain Airbags, Roll Stability Control, Tire Pressure Monitor, Premium Sound, Carpeted Floor Mats, Overhead Console, Aux. Audio Input. Comes equipped with: Black with Grey Stitching, Exclusive Nappa Leather Upholstery, Designo Diamond White Metallic. Comes equipped with: Black with Grey Stitching, Exclusive Nappa Leather Upholstery, Selenite Grey Metallic. If you expect nothing less than the best, explore the AMG® SUV and sedan lineup at Mercedes-Benz of Warwick today. We’re located near Providence and are standing by to help you find the right Mercedes-Benz for your lifestyle! 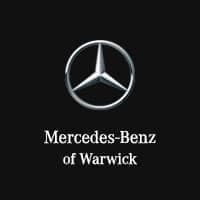 You can also learn more about Mercedes-Benz features like GLC utility and Mercedes-Benz 4MATIC® All-Wheel Drive, and compare the Mercedes-Benz E-Class vs. the Audi A6 at Mercedes-Benz of Warwick.